This post is part of a series on Older Americans Month. We encourage you to raise awareness and join the conversation by sharing this post with your friends and family to help the more than 43,000 seniors who struggle with hunger in our region. When you walk in Bread For Life, a Food Bank partner agency in Wilmington, you will almost surely be greeted by Ms. Claudette, a bright, purposeful woman who immediately begins telling you about her impressive operation the moment you shake hands. She speaks quickly and walks swiftly, clutching her binder in her arm full of brochures, nutrition information, and enrollment forms. Ms. Claudette is the Director of Bread For Life, a “Gleaning Ministry for Aging in Place Seniors,” the only food pantry in the area specifically dedicated to providing food and other services to low-income seniors. She manages over 140 volunteers at three different sites in Wilmington, serving around 250 local seniors in need. This particular location is open once per month, on every 3rd Tuesday. For Ms. Claudette, these pantries are not only a vital source of nutrition for low-income seniors, but they’re a supportive community that provides resources to the unique issues that inevitably come with aging, poverty, and declining health such as decreased mobility, costly hospital bills, and trying to make ends meet on a fixed income. As an older American herself at the age of 71, she genuinely understands the challenges these seniors face. As a now full-time volunteer with a background in social work, she has made it her mission in the later years of her life to help them. Following Ms. Claudette’s mission and vision for her food pantries, Bread For Life moves beyond serving food and strives to provide holistic services to its clients such as giving out hats in the summertime and cards on birthdays. Ms. Claudette calls it a “neat touch,” but the concept of providing various services in one place is critical for this population that faces unique challenges. When you serve low-income seniors, certain issues become particularly important. Finally, mobility is also a chief concern for this particular population. Many seniors don’t have access to transportation or are unable to drive themselves. Some may also be bed-ridden due to illness. Ms. Claudette expresses the critical need for more home delivery services in this area, and also explains that her pantries used to deliver food directly to the homes of seniors, but she has since been forced to cut that program due to transportation problems of her own and the challenge of maintaining enough volunteer drivers. As a result, access to food remains a tough challenge for low-income seniors in this community.Nutrition, for example, is critical. As people age, their bodies need even more nutrients to remain healthy, requiring consistent access to fresh produce. Many seniors also have special health needs. To that end, Ms. Claudette pioneered the SNACS (Supplemental Nutrition for Aging In Place Chronically Ill Seniors) program that provides supplemental nutrition to folks that have medical conditions such as diabetes, heart-related problems, and cancer that require extra attention. Additionally, many seniors are caregivers for their grandchildren, adding more financial stress to their already limited incomes. Even at the pantry mobility is taken into consideration. Volunteers provide “curb-side assistance,” helping clients bring their bags of food to their cars. Ms. Claudette has also designed the layout of Bread For Life so the line to pick up food is a continuous circle that keeps moving, minimizing any time spent standing. 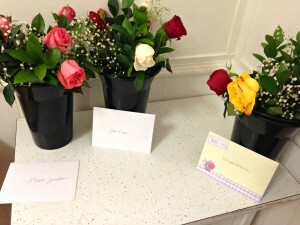 However, this particular Tuesday was extra busy, and Ms. Claudette was short on volunteers. A line started to form during the check-in process, and she asked volunteers to bring in more chairs and bottled water, trying to keep her clients safe and comfortable. She apologized to the folks in line, and explained that they were simply short-handed that day. One of the seniors in line offered to lend a hand. Ms. Claudette gratefully accepted the offer and put her to work. The client said she was happy to help the pantry that has done so much for her, and hoped to volunteer again next month. 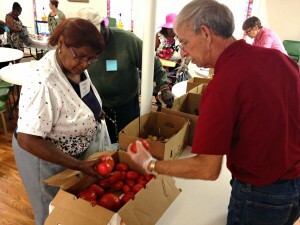 Bread For Life admits 5-10 new seniors in need every month, and after only one year, they are already beginning to outgrow the space. They currently operate out of a church that allows them to use the space once per month. Ms. Claudette has gotten very good at maximizing small spaces over the years, leveraging every nook and cranny. She’s incredibly grateful for the free space, of course. 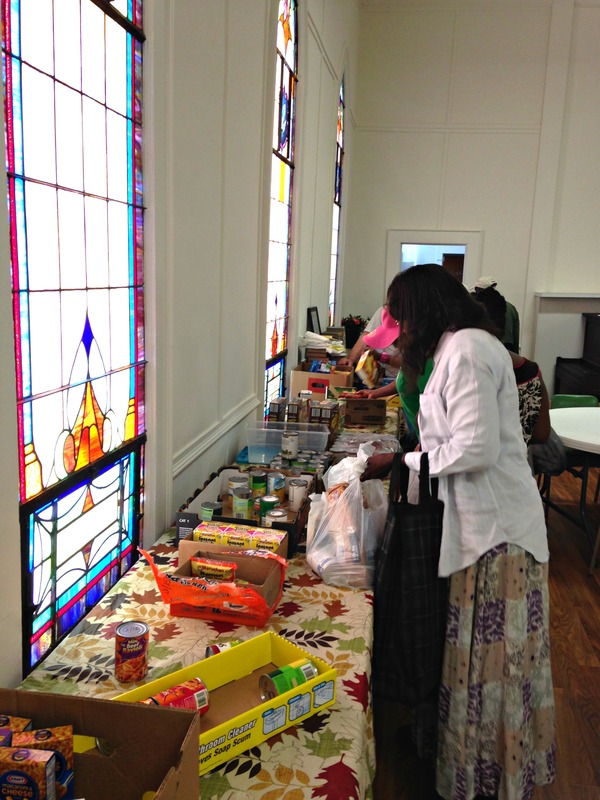 But as the need increases, so does the pantry’s need for more room. “We’ve outgrown ourselves again. I just don’t know what to do.” But she remains hopeful and resourceful, making due with whatever is given. But even she knows she can’t do it forever, and the phenomenon that she calls the “graying of the pantries” is a major concern. She explains that most food pantries are run by older volunteers, and as they age they struggle to find younger replacements to take over this critical public service. We believe she can, and applaud her hard work and unwavering dedication to hunger relief and low-income seniors because we know it has a positive impact on those she serves. Bread For Life is one of the 800 partner agencies we work with in our 34 county service area. 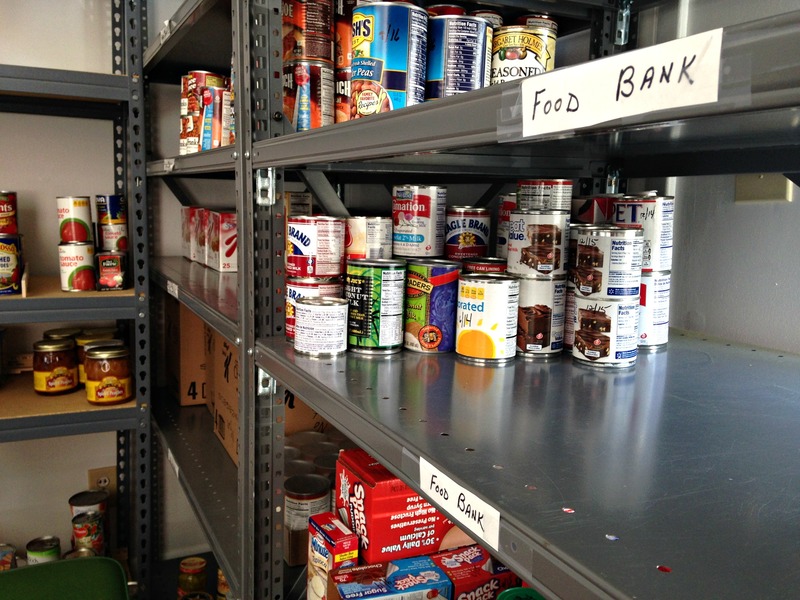 The Food Bank provides this food pantry with food and non-food essentials such as toothpaste, shampoo, and toilet paper, as well as information on resources in the community to help support their efforts.